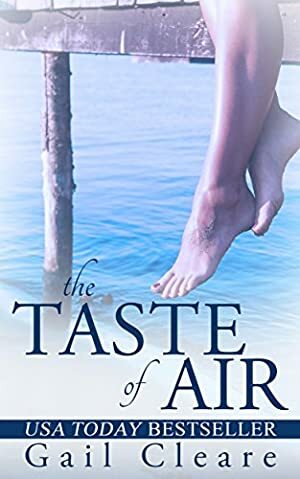 "In The Taste of Air, Cleare deftly explores the consequence of our choices, even those made with the best of intentions. A family saga bridging decades and filled with shocking revelations, hope and love, you won't be able put this book down." ~Kate Moretti, author of NYT Bestseller "Thought I Knew You"
"In this terrific novel, when two women learn their mother wasn't who they thought she was it leads them to question their own lives and choices. Deftly written, with lush descriptions of the New England setting, this is a book to choose as a companion for curling up on a sofa on a dark winter day or for laying on the beach in the summer. The Taste of Air is character-driven fiction at its best." A simple phone call disrupts Nell Williams's well-ordered life. Her mother, Mary, is in a hospital in Vermont. But her mother is supposed to be safely tucked away in an assisted-living facility in Massachusetts, so Nell can't fathom why she would be so far from home. After notifying her sister, Bridget, Nell hops on a plane and rushes to her mother's side. There, she discovers that her mother has been living a second life. Mary has another home and a set of complex relationships with people her daughters have never met. When Nell and Bridget delve deeper into their mother's lakeside hideaway, they uncover a vault of family secrets and the gateway to change for all three women. Log In to track Gail Cleare on eReaderIQ. to be notified each time the price drops on any book by Gail Cleare. to stop tracking Gail Cleare. We started tracking this book on September 18, 2016. The price of this book has changed 18 times in the past 949 days. The current price of this book is $9.99 last checked 8 hours ago. The lowest price to date was $0.99 last reached on February 18, 2019. The highest price to date was $9.99 last reached on February 22, 2019. This book has been $9.99 4 times since we started tracking it. We last verified the price of this book about 8 hours ago. At that time, the price was $9.99. This price is subject to change. The price displayed on the Amazon.com website at the time of purchase is the price you will pay for this book. Please confirm the price before making any purchases.